Portable photo printers are essential for any serious photo enthusiast in the modern day. These printers provide unmatched convenience and save you from the little hassles that can ruin your day. There are many great pocket printers in the market today that allow you to print from your smart devices. You can be able to find a portable printer for any kind of job at a considerate price. While there is no shortage of variety, it can be difficult to go through all the models in the market when looking for the perfect option. 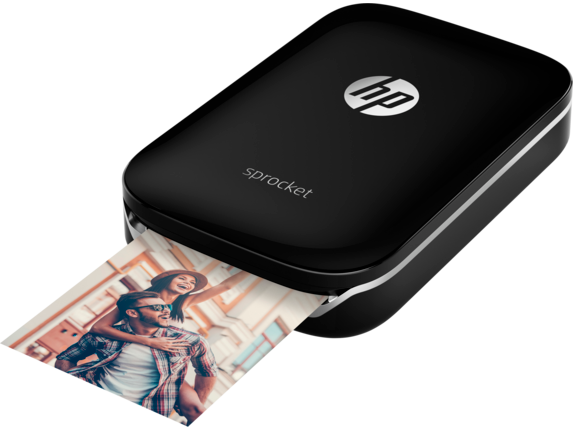 Here is a collection of the best portable photo printers for use with your smart devices. The standout feature of the Polaroid Zip Photoprinter is connectivity. With a host of wireless technologies like Bluetooth and NFC, you can be assured of convenience when printing from your mobile devices. The printer also comes with apps that simplify the printing process and add functionality as well. You can use the apps to change the different settings and adjust your photos as required before printing them. Considering the compact design of the printer and its accommodating price, it is not difficult to see why this printer is one of the best portable printers in the market. This printer is a unique option mainly because of its price and included features. Being a dedicated photo printer, the Selphy comes with vital connectivity features and offers great print quality. The printer can print from a memory card, USB storage or from wireless sources through Wi-Fi. The design of the printer is also great and it can print a wide range of small-sized photos. The included menu and display offer great functionality to the user. You can be able to make some quick adjustments from the menu before producing a print. With a low price, multiple connectivity options and great quality photos, this printer is a great option to carry to events and parties. With included editing options, quick setup procedures and a durable battery, the Fujifilm Instax Share SP-2 sets the standard by packing some of the most demanded features in a pocket printer. You can be able to quickly edit your photos from the printer’s app which is available in all the common smartphone platforms. In addition, this printer comes with a rechargeable battery and Wi-Fi connectivity. The printer is definitely one of the best options for convenience and for printing quality small-sized photos. The key feature that distinguishes this HP printer from the rest is its speed. The Sprocket is a tiny compact machine that can be easily carried around and produce quality wallet photos in blazing fast speeds. In addition, integration with social media platforms is quite easy with this printer. With Bluetooth connectivity included, you can be able to print photos from any modern smartphone or digital device. The Sprocket manages to cut down on unnecessary features and gives the user just what is needed for quality prints. Plus, you can use Orink toners to cut down on printing expenses. It is compact, affordable and a great choice for carrying around.